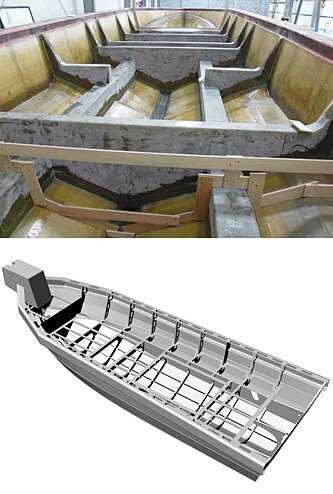 We have a strong in-house structural design and analysis capability for small craft structures in GRP, Advanced Composites and Aluminium Alloy, including Finite Element Analysis. This includes the design of the global structure and also local structures for lifting and tie-down points and equipment and weapon foundations. Global structure is typically to Classification Society or ISO requirements, and local structures to SOLAS, STANAG or other standards.